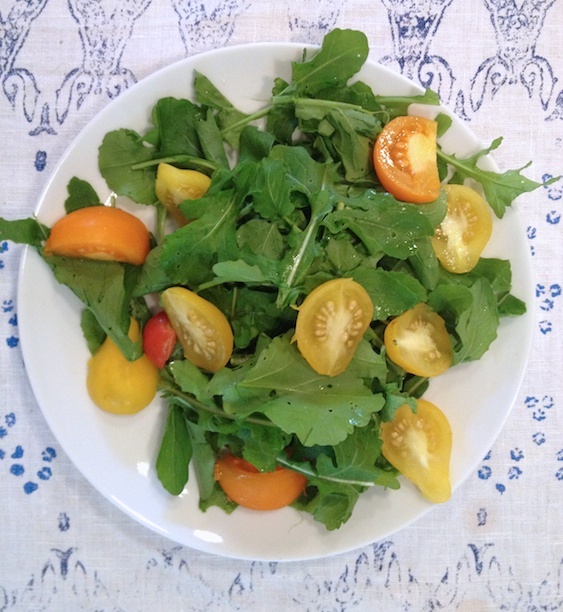 Arugula, yellow tomatoes, orange tomatoes and red tomatoes: all home (garden) grown. The table runner is hand printed by Petra. Visit druckstock.com to see a wider variety.